Bernie, tell us about your role in supporting law firms to find a telephone answering solution? Moneypenny currently works with more than 900 law firms of all sizes, supporting their reception function either on an overspill or fully outsourced basis. We have a growing team dedicated solely to the needs of law firms and we work with firms individually to establish the best solution for them. Whether we are taking all calls or just those calls in-house teams are unable to take themselves, ours is a seamless service and it’s reassuring for firms to know they are never missing a call. Our 24/7 availability means we are able to extend a firm’s virtual opening hours and we have Moneypenny Receptionists in Auckland, New Zealand taking calls for law firms from 8pm to 8am our time. We also offer a Business Continuity and Disaster Recovery product for law firms which acts as an ‘insurance policy’, so should a telecoms problem or other issue arise, we are ready to take over immediately. What does a day in the life of a Moneypenny Legal Receptionist look like? Busy! Our Moneypenny Receptionists work in teams of four and are very close knit. They have fun together but work hard. They have their own particular clients and get to know them really well too. The first job is to check emails and any particular client updates or instructions for the day ahead. Our Moneypenny Receptionists are the first point of contact for the caller regardless of the nature of their call, which can be anything from notarising a document to someone calling from prison wanting to speak to their solicitor. They transfer calls or take messages and email them over depending on what the client has asked for and their needs at any given time. Our receptionists manage diaries to make sure the caller receives the correct information e.g. their solicitor is in a meeting until 3pm, and we provide a service whereby the client can be assured that they will receive a message from us no matter what. That gives them peace of mind. Our receptionists deal with the caller’s enquiry as quickly and efficiently as possible and also filter out lots of unwanted cold calls, whilst maintaining the standard of the service which the client expects whether they come through to their own reception or Moneypenny. 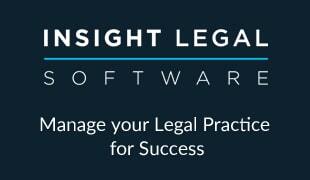 What do you see as the biggest opportunities and challenges in the legal sector for 2014? For us at Moneypenny there are always huge opportunities as we are working across the sector, providing our service to practices of every size, from sole practitioners to top 10 global firms. We are continually talking to law firms, asking them how our service will work for them in their ideal world and we work hard to not only meet individual needs but exceed expectations. Having our own in-house software specialists is important as it means we have the capability to always be developing our systems and responding to needs quickly. We had thought that having staff on the other side of the world may be a challenge but it all works remarkably smoothly. How did you come to focus on the legal sector? An interest in all things legal seems to be in the blood. 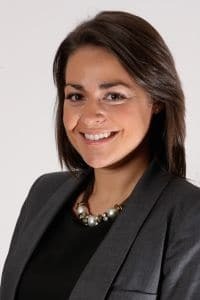 Being the youngest of three girls I always wanted to follow in my sisters’ footsteps so when I was asked eight years ago which area of Moneypenny I would like to focus on I chose legal as one sister works for a law firm and the other works for the LSC. On a personal level, what is your mantra for life?